Please call owner Bill at 508-958-1069. Boat Location: Middleton, Massachusetts. 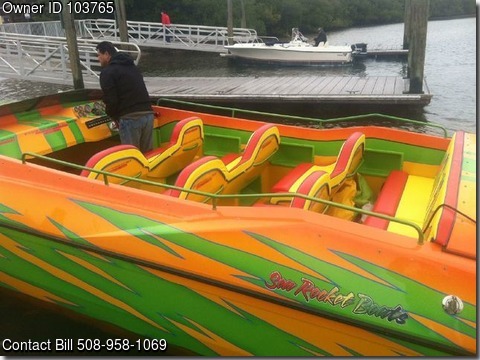 2009 Sea Rocket 34' Coast Guard Certified. Twin 350 inboard out board Mercruiser X Drive diesel turbo engines. Comes with trailer and two boat covers, full cover and overnight snap on. Boat is 33' x 10' x 5' deep. Has $7K stereo system with 8 speakers. Seats 16 this is one fun boat ideal for doing tours or parties.